Hanoi, Vietnam’s capital has been proudly named in 15th in the list of 25 destinations in the world in TripAdvisor’s annual Travelers’ Choice Awards, which recognize locations that are most popular among thousands of reviewers. The list of 25 destinations takes into account both the quality and the number of all travelers’ reviews and ratings published on the website for hotels, restaurants, and appealing landscapes in globe over a 12-month period. “The charming Vietnamese capital has aged well, preserving the old quarter, monuments and colonial architecture, while making room for modern developments alongside. 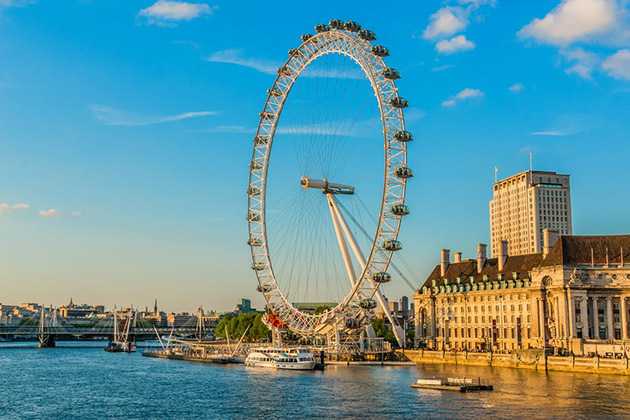 Lakes, parks, shady boulevards and more than 600 temples and pagodas add to the appeal of this city, which is easily explored by taxi.” TripAdvisor said. The thousand-year-old capital is the origin of Vietnamese cuisine and culture, Hanoi has been famous as the paradise of cuisine, Hanoi offers tourists many typical dishes, and some of them can be mentioned here as Pho, Cha Ca La Vong or trying Shrimp cakes in West Lake. Although Hanoi has shrugged off several former names including Thang Long (ascending dragon), it’s past never dies, as sites such as Ho Chi Minh Mausoleum, Hoa Lo Prison. The myriad of gorgeous lakes, parks, shady boulevards, and more than 600 temples, as well as pagodas, add to the appeal of the capital. Among a series of alluring places in Hanoi, the travel website TripAdvisor recommended Hanoi Old Quarter, Vietnamese Women’s Museum, and Vietnam Museum of Ethnology, which are all the places restoring historic relics for those coming to Vietnam at the first time. If Hanoi Old Quarter appears as the ancient town inside a dynamic city, Vietnamese Women’s Museum focuses on the contribution of women to Vietnam’s history and culture, Vietnam Museum of Ethnology shows the various colors of Vietnam’s 54 Ethnic communities. 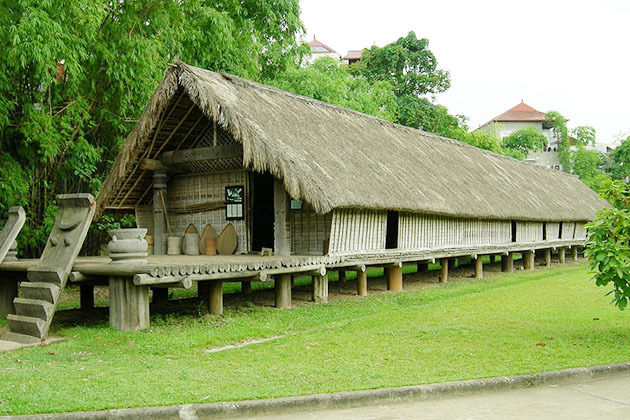 Come and dig into Vietnamese history and culture! 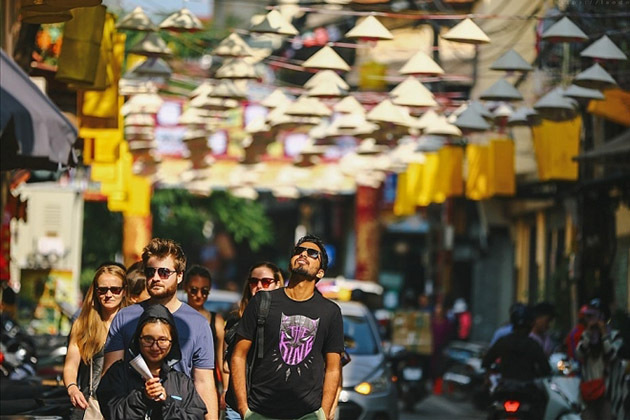 Besides the 15th on the list of 25 destinations in 2019 by TripAdvisor, Hanoi has also been named among many other destinations as the most affordable destinations for 2019 global adventures by Uproxx (it is an entertainment and culture news website). Exactly, there are no places cheaper than Hanoi! 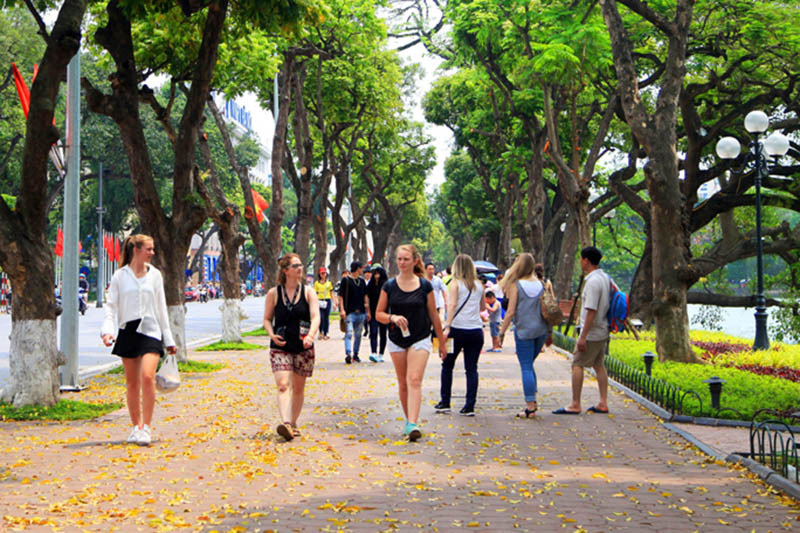 A travel database confirms that Hanoi is one in three tourist hotspots in Vietnam and also the most affordable in the world for backpackers. According to the backpacker Index formulated by Price of Travel, the world’s largest database of travel costs, Hanoi is high on the top ten list of cheapest places for travel in 2019. The ancient capital of Vietnam comes out on top of the list, with backpackers needing just 18.29 dollars (~ 400 000 Vnd) per day in Hanoi.